Over the years, we’ve had the occasional opportunity to revisit or explore a “sibling” of a particular whisky. This was very much the case in our March Whisky Ladies session where each whisky was a variation on a familiar theme… yet distinctly different too! 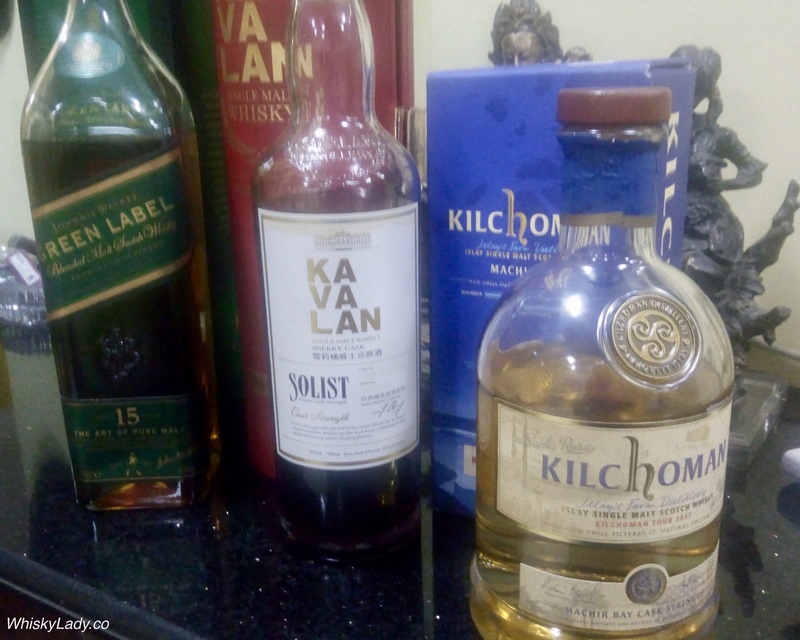 That’s the fun of exploring whiskies together – we contrast and compare – both the whiskies and our individual impressions. When it is with terrific company and a lovely setting, what could be more enjoyable? The hard thing about having a “real” job rather than running my own business is that the variables beyond ones control are simply much higher. 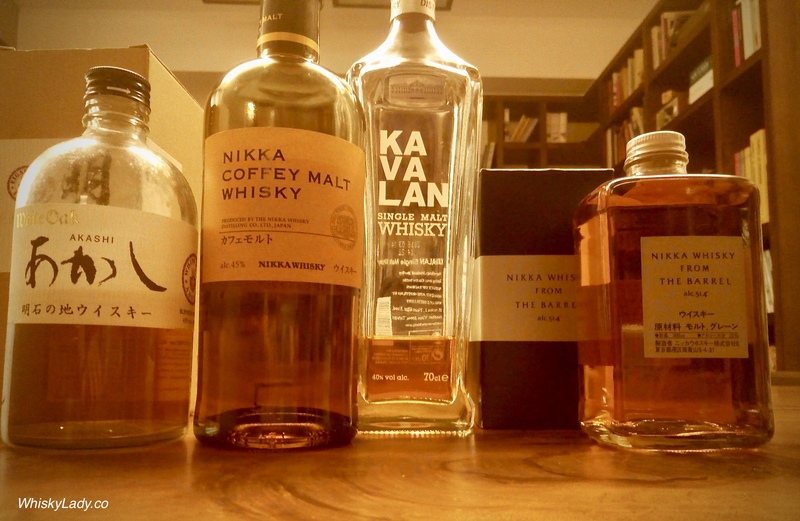 Which means sometimes, despite best efforts, I have to miss a whisky tasting session. Galloping yet again to the rescue was our fabulous guest writer Nikkhil Shirodkar… except this time our host insisted on a different approach. But it was worth it – completely worth it! 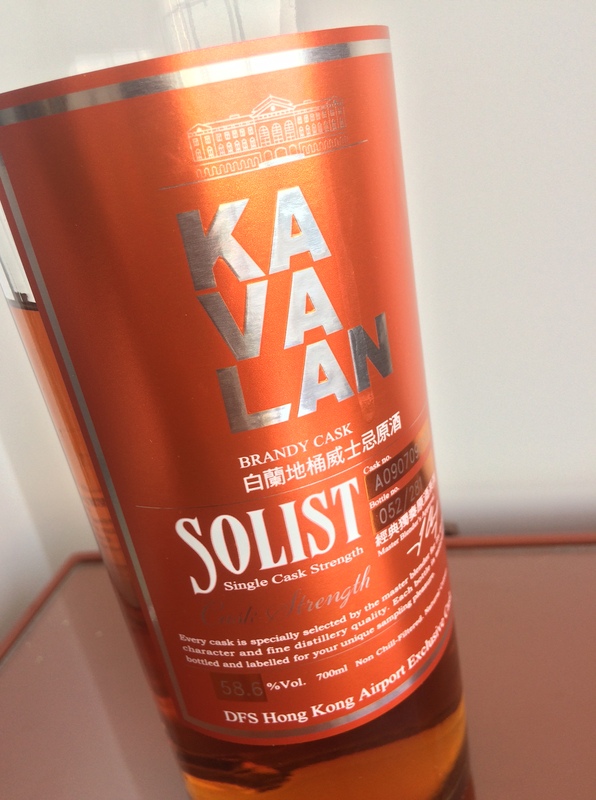 It was a remarkable theme exploring three different casks from Taiwan’s Kavalan distillery with their Solist series of individual casks at full strength. So the host decided to quiz by asking us to guess the producer of the whiskies. The only obvious give away before the reveal was that these were intensely Sherried drams. So we round up the usual suspects: Glenfarclas, Glendronach, Aberlour Abunah without thinking about Non-Scottish producers. 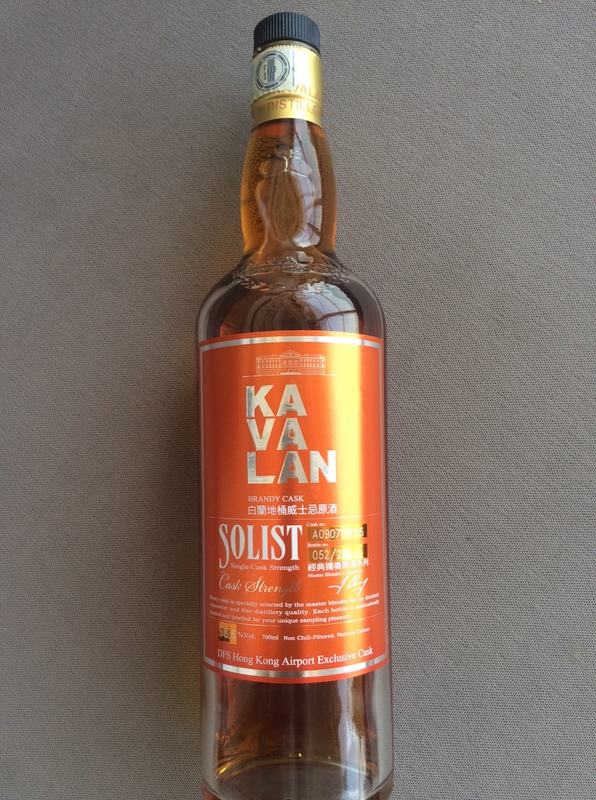 I don’t think any Non-Scottish producer has an equivalent range to the Kavalan Solist. 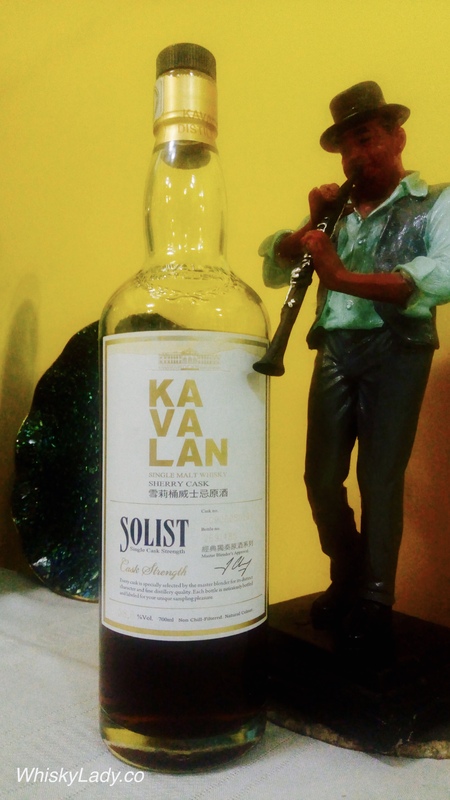 But then again, how often does one get to sample/drink a Kavalan Solist on a regular basis? We totally missed that one even though in hindsight it was so obvious. 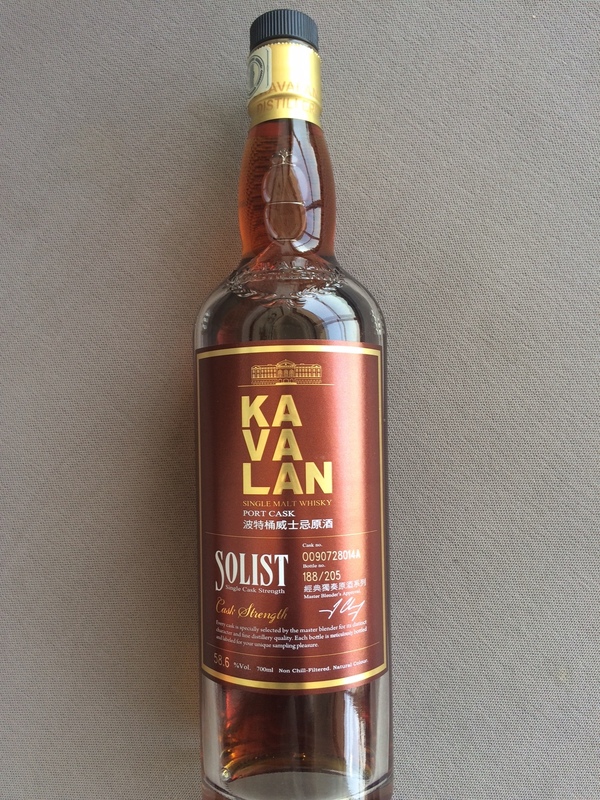 What Kavalan has achieved in terms of the sheer quality of their offerings is truly remarkable. We are all aware of the hot tropical climes and its effect on maturation but its more than just the weather. Every process, right from the selection of the barley to the shape of their stills, the best wood policy and access to a variety of premier casks all add in delivering stunning whiskies. In fashion, there is a little something called the “show stopper” which closes all the prancing and posing with panache and much applause. 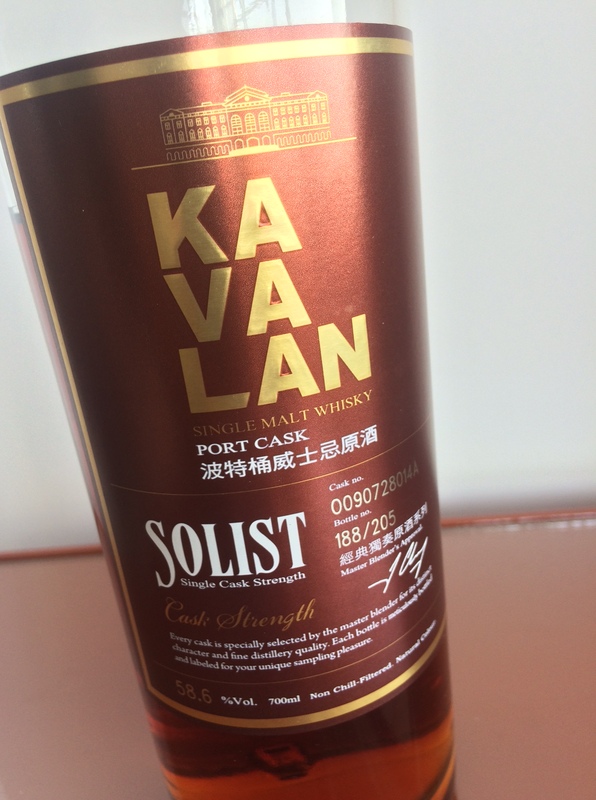 In our NAS whisky night, there was no doubt this Kavalan Solist Peaty Cask was the hit of the night! 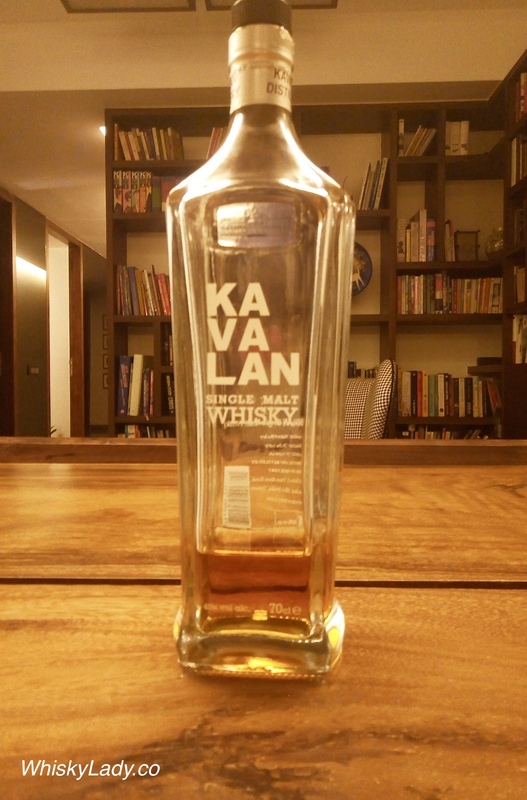 Over the years I’ve become a Kavalan convert. 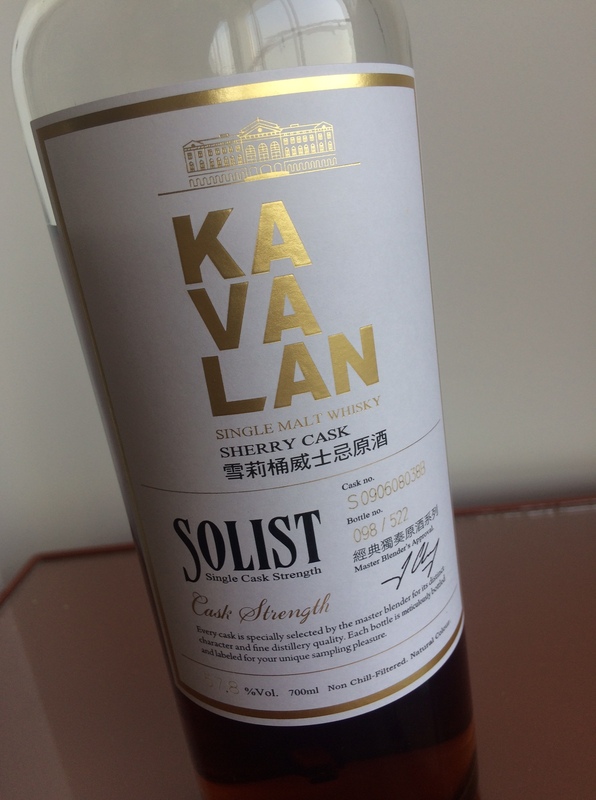 From a slightly disappointing start with the Concertmaster I picked up in Taipei to most recently a fantastic quick zip through their full core range at Whisky Live Singapore, there have been a few stunners along the way… particularly from the Solist Sherry Casks. 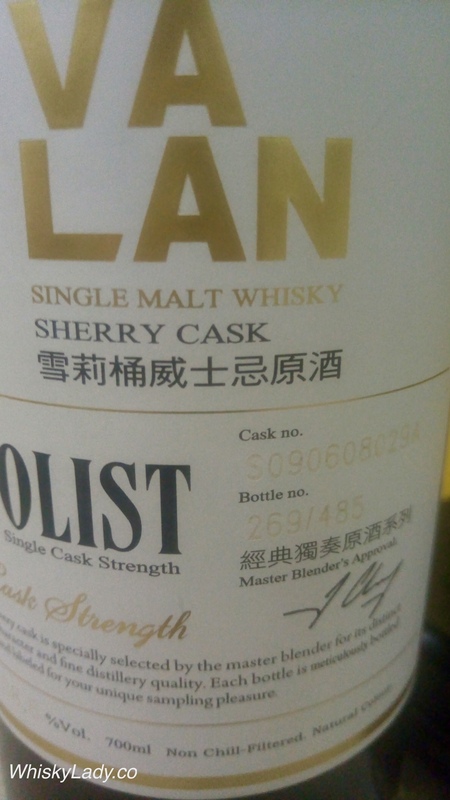 So when I spotted this Peaty Cask at Singapore airport, it simply had to be acquired and fit perfectly into our original club’s NAS themed evening. What makes it particularly interesting is the spirit isn’t peated… instead the peat comes from a cask that previously held a peaty Islay whisky, bringing a more subtle approach to peat dimension. 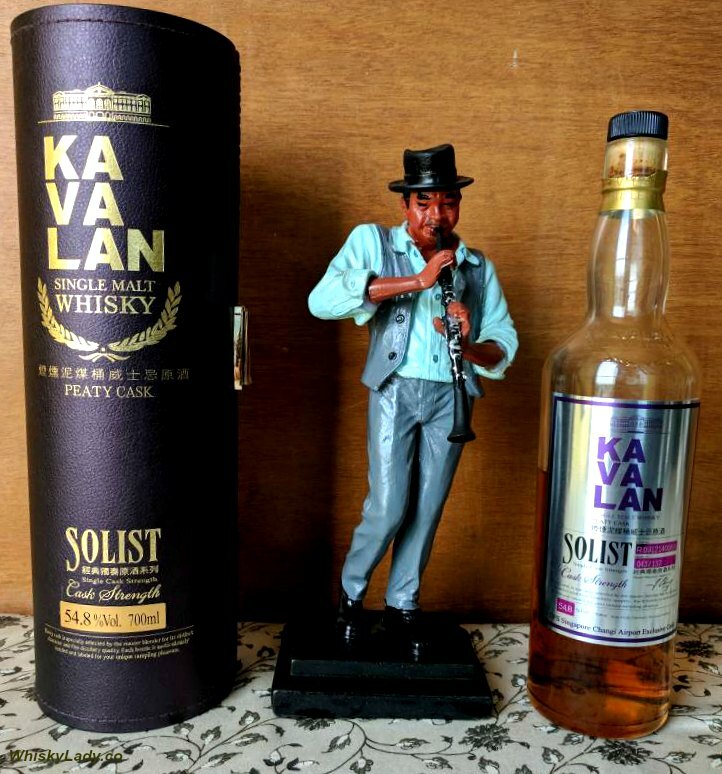 Overall our conclusion that while age plays a role, it is completely possible to have a complex, interesting and worthy dram when the whisky in question is one like this Kavalan. 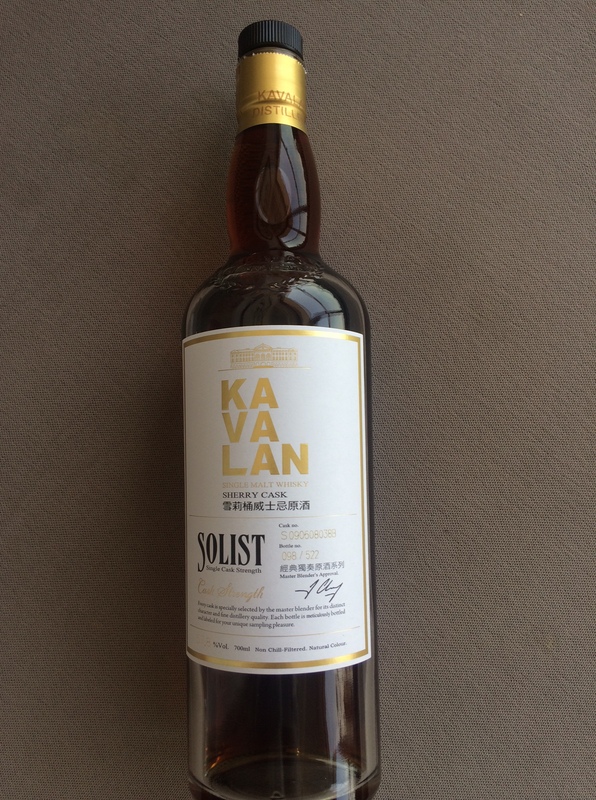 Palate – More toffee and butterscotch bring a peaty taste but rather subdued and more earthy than maritime. Finish – The finish is quite long with peppery notes of red chili. It is a perfectly balanced and quite complex – a beautiful whisky! What else did we try in our NAS evening? 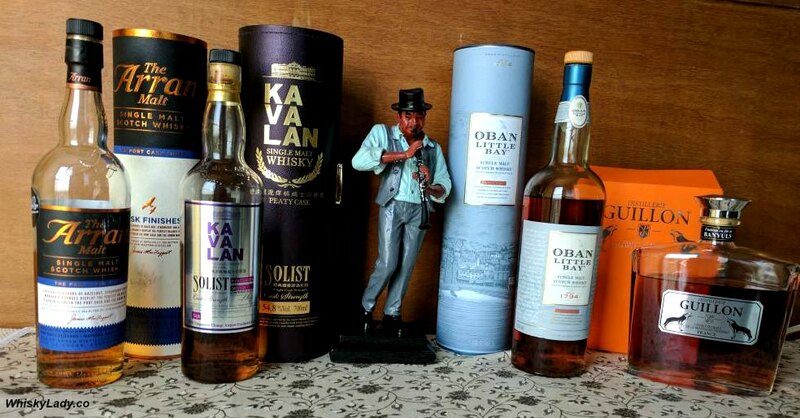 Sure folks still bemoan the days where “No Age Statement” whiskies were few and far between in the world of single malts, however NAS whiskies are here to stay! And frankly, some of them are rather good. So it was rather apt that one of our retired whisky club members for his birthday (of years we shall not say!) 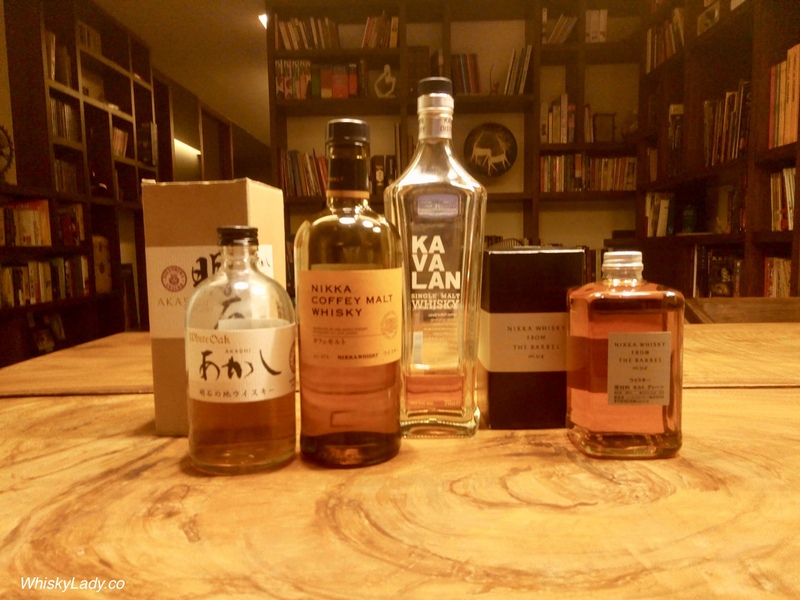 turned to a quartet of NAS whiskies… which turned out not to all be whiskies… as there is a new avatar of ‘malt spirit’ which joins the fray. 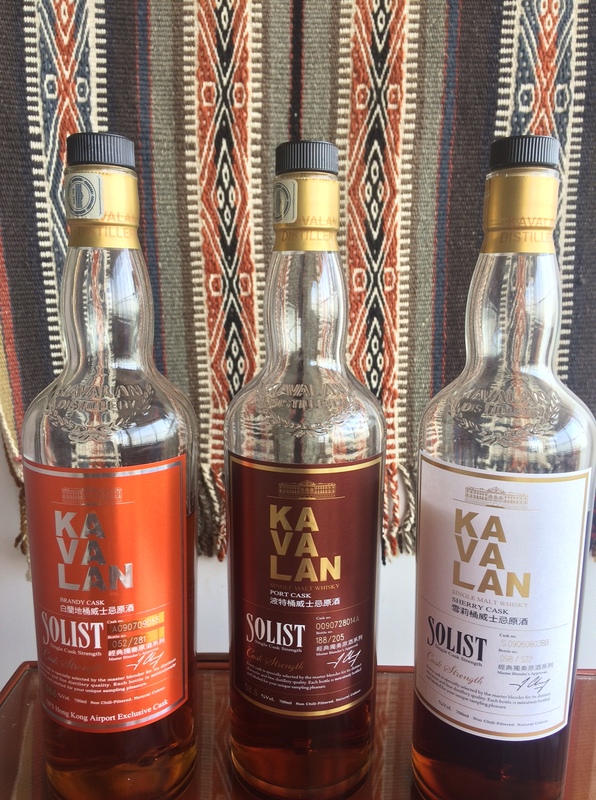 Guess which one of our 4 bottles wasn’t a whisky after all?